Over the last year, the State Department's document dump of emails from Hillary Clinton's private server has given the public an intimate look at the daily comings-and-goings of the former secretary of state and her family. Among some of the more mundane emails regarding schedules and the occasional problem with office supplies, the documents also reveal an interesting detail unique to a life in the public eye -- the former first family's fondness for nicknames and aliases. 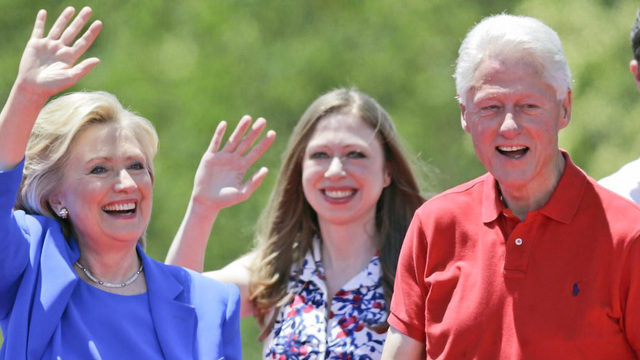 Diane Reynolds: Chelsea Clinton often uses the fake name "Diane Reynolds" when checking into hotels, according to a New York Times report. It also happens to be the alias attached to her email address on Hillary Clinton's home-brewed server. In the State Department's latest email release, Clinton wrote a revealing note to "Diane Reynolds" the night of the 2012 attack on a U.S. compound in Benghazi, Libya. With the subject line "I'm in my office," Clinton continues in the body of the email: "Because of attacks on our embassy in Cairo and our office in Benghazi so email when you can talk." She later follows up with another note. "Two of our officers were killed in Benghazi by an Al Queda-like group: The Ambassador, whom I handpicked and a young communications officer on temporary duty w a wife and two young children. Very hard day and I fear more of the same tomorrow," Clinton wrote. HRod: A nickname for Hillary Rodham Clinton, based on one of her email addresses, hrod17@clintonemail.com. Gert: Clinton would occasionally sign off some emails as "Gert" or "Gertie" in notes to an old Chicago friend, Betsy Ebeling. This was the moniker Ebeling, who has known Clinton since elementary school, used when addressing Clinton in emails from 2010. WJC: Hillary Clinton's husband, former President William Jefferson Clinton. State Department staffers often referred to Bill Clinton by his initials, though Hillary Clinton usually just called him "Bill." The former Oval Office occupant rarely sends any emails himself, said then-Clinton spokesperson Matt McKenna last year. He told the Wall Street Journal that Bill Clinton had personally sent only two emails in his entire life -- both as president. The Clintons granted at least one State Department staffer an account on the clintonemail.com domain, according to a New York Times report. Longtime aide and Clinton's surrogate daughter Huma Abedin had an account on the private server, the Times noted. Emails from State Department staffers were occasionally sent to the personal account huma@clintonemail.com.